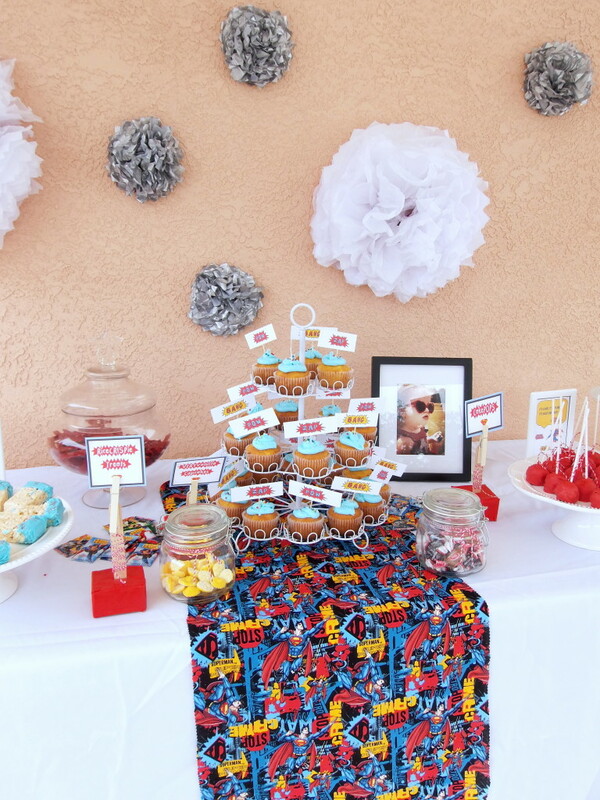 This Superman party was created for a little girl, in love with superheroes. We wanted the party to be outside, by the pool, overlooking the river. My vision was retro Superman comic book, with tulle. Everything was DIY. I created the printables, made the desserts & made all the décor. My favorite item was the pallet covered in paper rosettes on the drink table. My advice to achieve a grand look, is to always create a backdrop. Backdrops really add height to any table & takes any party to the next level. Jess love the party setup! <3,I Love The Set Up is Pretty!